Everyone seems to have his or her own cereal preferences for what makes the perfect bowl. I have always eaten my cereal dry (gasp, I know). I'm not lactose-intolerant, but no matter what brand I choose from the shelf, I prefer to eat my cereal sans milk. This habit has made for many awkward mornings waking up at sleepovers and explaining to my friends and their parents that I wouldn't be needing any milk to go along with my breakfast. But I am not the only one with different, albeit strange, cereal-eating habits. I know many people who eat all the flakes of their cereal first and save the dried fruits, crunchy clusters or sugary marshmallows for last. I even have a friend who only eats her cereal warm, as in she heats her bowl in the microwave before taking a spoonful. And since being at college affords many of us the luxury of a wide selection of cereals, we now get to enjoy the breakfast offerings our mothers refused to buy when we were younger. Regardless of whether you eat your cereal dry, flake first or heated up, there are countless other ways to enjoy the breakfast staple beyond the morning hours. With the many varieties of cereal available, here are five creative, and delicious, ways to enjoy cereal outside the breakfast bowl. 1. Granola. When your bunches of oats are running low, cereal flakes can be a crunchy alternative for a unique, homemade granola. Combine your favorite brand with mixed dried fruits, nuts, chocolate chips and/or anything else you can imagine for a fun, exclusively-yours snack. Instead of granola bars, you can also try making cereal bars for those on-the-go days when you don't have time to sit down with a bowl and spoon. 2. Sweet Bites. Crispy rice cereal tends to get used more in recipes that include marshmallows than anything else. While there is nothing wrong with a sweet rice crispy treat, there is more to the cereal than this stick-to-your-fingers snack. Rice cereal provides a crispy texture to these nutella truffles, and they can also add texture to chocolate bark when added onto the still warm, melted chocolate. 3. Dessert Crusts. Cereal is a versatile ingredient, and it is a great swap when preparing dessert crusts. For example, if you are making a chocolate mousse pie, consider using your favorite chocolate-flavored cereal in the crust. Use vanilla flakes for a banana cream pie crust or graham-cracker cereal for a s'mores pie. You can also go the healthy route by substituting high fiber cereal in the dessert base. 4. Breading. While cereal may seem to be reserved for only sweet items, it can easily be incorporated to create savory meals. Next time you have a recipe for a breaded item, try using cereal in place of the breadcrumbs or panko. Create a unique twist on traditional chicken fingers by coating them in crushed Cap'n Crunch, or consider corn flakes as a swap for cornmeal. Anything "crispy" in the title can be made with your favorite cereal, but err on the side of caution when selecting which ones to use; those high in sugar will caramelize quickly when met with heat. 5. Binders and Toppings. 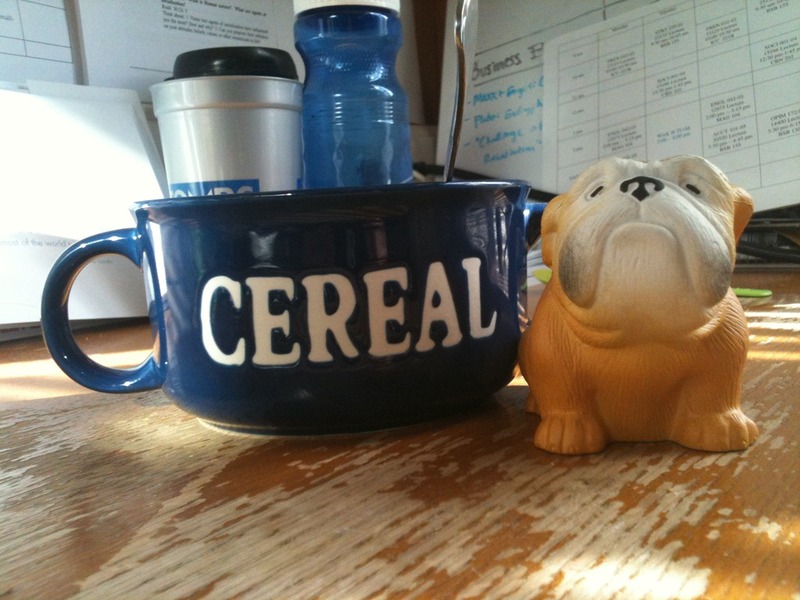 In addition to breadings, cereals work well as binders. Whether in meatballs, burgers or croquettes, cereals, such as corn flake crumbs or bran, work well as binding agents to help keep items' shape when cooked. When not in a bind, give a casserole or gratin an updated spin with a sprinkle of crushed cereal for a crispy, crunchy topping.